Microsoft Tag, out of Beta, and now available ! 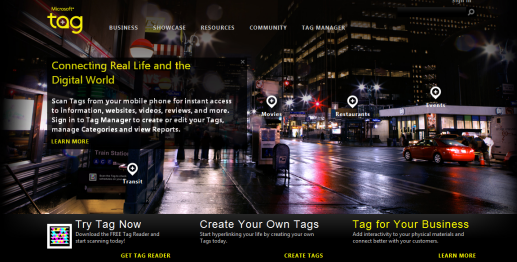 Launched 18 months back, Microsoft Tag is now out of beta and that basic use of Tags will be free of charge. This specifically means you will be able to generate and use Tags that link to standard scenarios and use the reader application at no cost. By simply going to Tag.Microsoft.com, you can create Tags and deliver rich interactive experiences on mobile phones, track your Tags and read about how companies are using Tag. Learn more about how to create Tags with Microsoft Tag Reader!